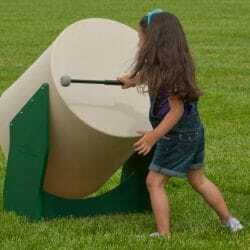 Children can pound with their hands or strike with the mallets to hear the rumble of the Large Drum Set of 3. 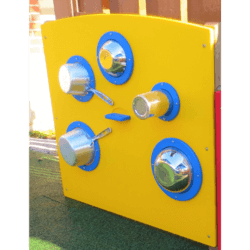 This preschool playground equipment is perfect for introducing music in your outdoor classroom. 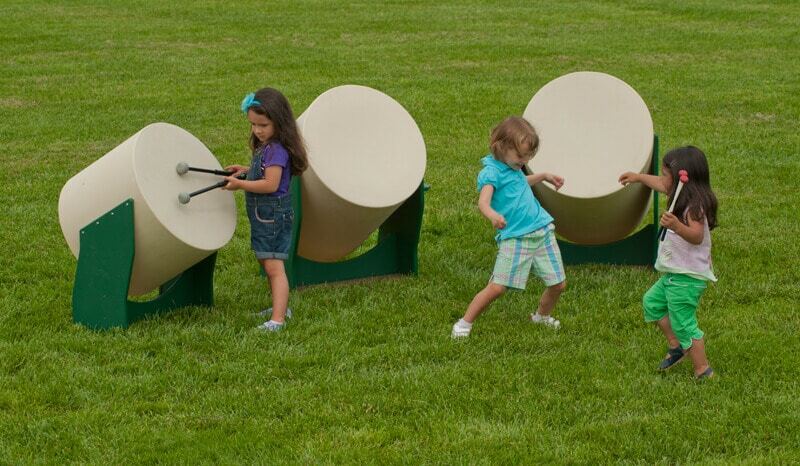 The Adventurous Child’s preschool Drum set consists of three Large Drums with varying lengths that produce contrasting bass tones. The Large Drum Set of 3 gives young musicians the opportunity to collaborate and perform a concert for all to enjoy. 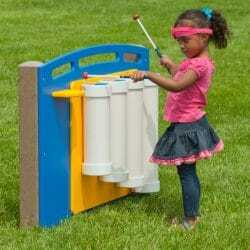 Our preschool Drums can be left outdoors in all types of weather. One pair of mallets is included with the Large Drum Set of 3.